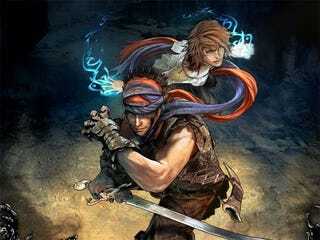 Xbox Live gold subscribers looking to for bit more enjoyment from Ubisoft's Prince of Persia can do so a little cheaper, as the Prince of Persia: Epilogue becomes the Xbox Live Deal of the Week. The ending to the most recent Prince of Persia left a bad taste in the mouth of many a player, as it more or less forced you to be a complete and utter tool. While the Prince of Persia: Epilogue downloadable content might not make you any less of one, it does at least allow you to explore what happened after you made an involuntary giant mistake. Normally retailing for 800 Microsoft points, three or so more hours of Prince of Persia can now be yours for only 560, as part of Microsoft's Deal of the Week program. Head over to the purchase page to get the DLC in your download queue.